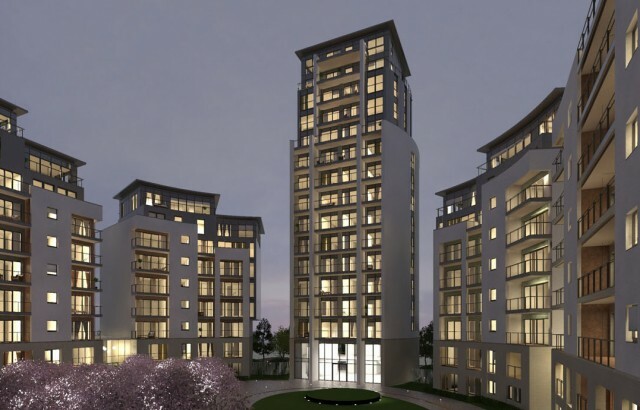 Kew Bridge West, a large new development for St James, is now on site. The scheme in west London is comprised of seven buildings radiating in a symmetrical crescent from a focal 15 storey tower; the combination of curved and angular forms creating a visual richness and allowing for a variety of unit layouts. On completion the scheme will provide 336 new homes, a gym, orangery and parking facilities. Located close to Syon and Richmond Parks, the tranquil setting of the surrounding area will be carried through into Kew Bridge West, providing a traffic free environment for residents.